Russ’s primary focus is on the industrial market, specializing in logistics and site selection. He has experience in refrigerated warehousing sectors. 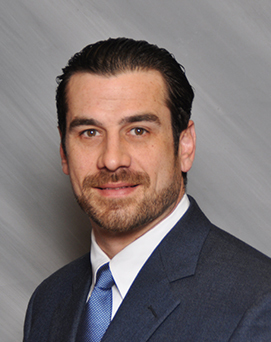 He represents local and corporate tenants and landlords in northern New Jersey, with a particular focus on port-related industrial properties along the Turnpike Corridor. Russell’s expertise is demonstrated by his facilitation of a smooth transaction from inception to completion. His ability to offer a wide range of professional services to his clients is enhanced by a continuous commitment to education.His in-depth market knowledge, integrity and exceptional aptitude for developing relationships with his clients are the reasons they continue to engage in his services. • Monmouth University/Kislak Real Estate Institute School of Business Administration, focusing on real estate finance and valuation. • Currently enrolled in the CCIM program (Certified Commercial Investment Member) a program focusing on the investment marketplace. • Graduate of NAI University, which is a field specific training program provided by NAI Global. The NAI Cold Storage and Food Facilities Group is a unique package of services specifically dedicated to servicing the cold storage, warehousing and food processing needs of food users and building owners around the world. We leverage our unique package of services and experience to provide solutions for clients in the food industry.